Moe, E., Rollo, F., Silveira, C. M., Sezer, M., Hildebrandt, P. and Todorovic, S. (2018). Spectroelectrochemical insights into structural and redox properties of immobilized endonuclease III and its catalytically inactive mutant. SPECTROCHIMICA ACTA PART A-MOLECULAR AND BIOMOLECULAR SPECTROSCOPY, 149-154. Voeller, J.-S., Biava, H., Hildebrandt, P. and Budisa, N. (2017). 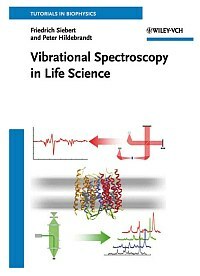 An expanded genetic code for probing the role of electrostatics in enzyme catalysis by vibrational Stark spectroscopy. BIOCHIMICA ET BIOPHYSICA ACTA-GENERAL SUBJECTS, 3053-3059. Ciaccafava, A., Tombolelli, D., Domnik, L., Jeoung, J.-H., Dobbek, H., Mroginski, M.-A., Zebger, I. and Hildebrandt, P. (2017). Carbon Monoxide Dehydrogenase Reduces Cyanate to Cyanide. ANGEWANDTE CHEMIE-INTERNATIONAL EDITION, 7398-7401. Escobar, F. V., Buhrke, D., Lopez, M. F., Shenkutie, S. M., von Horsten, S., Essen, L.-O., Hughes, J. and Hildebrandt, P. (2017). Structural communication between the chromophore-binding pocket and the N-terminal extension in plant phytochrome phyB. FEBS LETTERS, 1258-1265. Escobar, F. V., Buhrke, D., Michael, N., Sauthof, L., Wilkening, S., Tavraz, N. N., Salewski, J., Frankenberg-Dinkel, N., Mroginski, M. A., Scheerer, P., Friedrich, T., Siebert, F. and Hildebrandt, P. (2017). Common Structural Elements in the Chromophore Binding Pocket of the Pfr State of Bathy Phytochromes. PHOTOCHEMISTRY AND PHOTOBIOLOGY, 724-732. Gkogkou, D., Shaykhutdinov, T., Oates, T. W. H., Gernert, U., Schreiber, B., Facsko, S., Hildebrandt, P., Weidinger, I. M., Esser, N. and Hinrichs, K. (2017). Characterization of anisotropically shaped silver nanoparticle arrays via spectroscopic ellipsometry supported by numerical optical modeling. APPLIED SURFACE SCIENCE, 460-464. Horch, M., Siebert, E., Rippers, Y., Katz, S., Noth, J., Wahlefeld, S., Lindenmaier, N. J., Happe, T., Driess, M., Lenz, O., Mroginski, M. A., Hildebrandt, P. and Zebger, I. (2017). Resonance raman spectroscopy provides insights into biological hydrogen conversion. EUROPEAN BIOPHYSICS JOURNAL WITH BIOPHYSICS LETTERS, S161. Horch, M., Utesch, T., Pinto, A. F., Valente Romao, C., Teixeira, M., Mroginski, M. A., Hildebrandt, P. and Zebger, I. (2017). Structural transitions and enzymatic function: Case studies on superoxide reductase. EUROPEAN BIOPHYSICS JOURNAL WITH BIOPHYSICS LETTERS, S161. Keidel, A., Lopez, I., Staffa, J., Kuhlmann, U., Bozoglian, F., Gimbert-Surinach, C., Benet-Buchholz, J., Hildebrandt, P. and Llobet, A. (2017). Electrochemical and Resonance Raman Spectroscopic Studies of Water-Oxidizing Ruthenium Terpyridyl-Bipyridyl Complexes. CHEMSUSCHEM, 551-561. Kielb, P., Utesch, T., Kozuch, J., Jeoung, J.-H., Dobbek, H., Mroginski, M. A., Hildebrandt, P. and Weidinger, I. (2017). Switchable Redox Chemistry of the Hexameric Tyrosine-Coordinated Heme Protein. JOURNAL OF PHYSICAL CHEMISTRY B, 3955-3964. Monte-Perez, I., Kundu, S., Chandra, A., Craigo, K. E., Chernev, P., Kuhlmann, U., Dau, H., Hildebrandt, P., Greco, C., Van Stappen, C., Lehnert, N. and Ray, K. (2017). Temperature Dependence of the Catalytic Two-versus Four-Electron Reduction of Dioxygen by a Hexanuclear Cobalt Complex. JOURNAL OF THE AMERICAN CHEMICAL SOCIETY, 15033-15042. Song, W., Querebillo, C. J., Goetz, R., Katz, S., Kuhlmann, U., Gernert, U., Weidinger, I. M. and Hildebrandt, P. (2017). Reversible light-dependent molecular switches on Ag/AgCl nanostructures. NANOSCALE, 8380-8387. Staffa, J. K., Lorenz, L., Stolarski, M., Murgida, D. H., Zebger, I., Utesch, T., Kozuch, J. and Hildebrandt, P. (2017). Determination of the Local Electric Field at Au/SAM Interfaces Using the Vibrational Stark Effect. JOURNAL OF PHYSICAL CHEMISTRY C, 22274-22285. Takiden, A., Velazquez-Escobar, F., Dragelj, J., Woelke, A. L., Knapp, E.-W., Piwowarski, P., Bart, F., Hildebrandt, P. and Mroginski, M. A. (2017). Structural and Vibrational Characterization of the Chromophore Binding Site of Bacterial Phytochrome Agp1. PHOTOCHEMISTRY AND PHOTOBIOLOGY, 713-723.